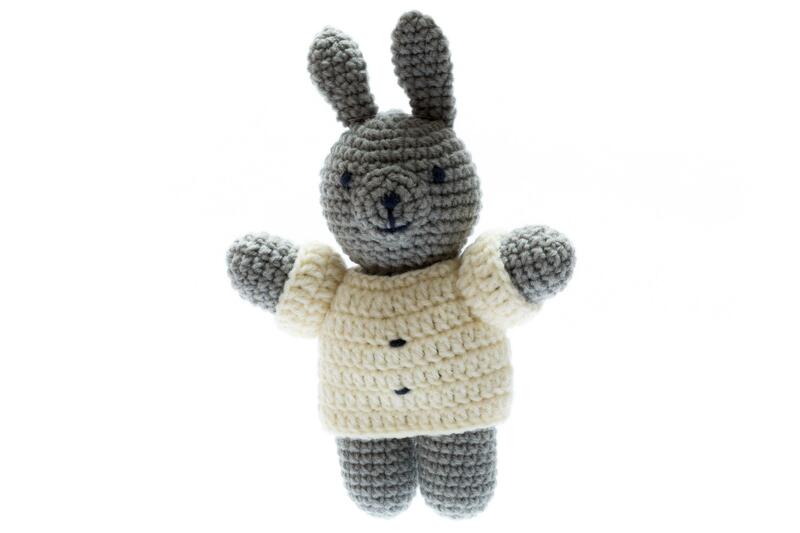 This chunky crochet bunny makes an ideal newborn baby soft toy. The chunky crochet is tactile and stimulating for your baby whilst also being soft and cuddly. This baby toy is machine washable, handmade and suitable from birth and makes an ideal gift for a young baby.